A good example of this is Horizon’s Banksia +2. The ‘+2’ in the title refers to the two passenger seats behind the driver’s cab. As I’m a bit of a Jaguar E-Type fan, I keep thinking of the Banksia as the ‘2+2’ model. Of course, I understand they aren’t quite in the same league. But I do tend to think of the Fiat Ducato as the ‘sports car’ of the motorhome world – especially when it comes with the 3L 132kW turbodiesel engine – so it seems apt enough... Well, to me, anyway! One of the advantages of the extra passenger seat is that it combines with the swivelling front cab seats to create the dining area. 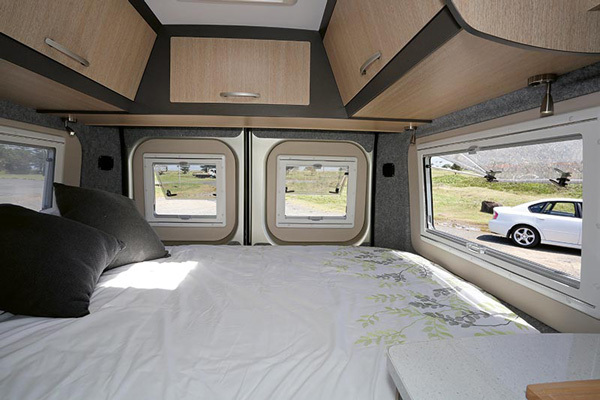 This is good because the fixed double bed across the rear takes up the bulk of the space, leaving enough room for a nearside kitchen bench and a mid-offside bathroom. Although the van interior is quite small, the layout is well-designed so it doesn’t feel cramped. For instance, rather than fitting overhead lockers above the kitchen bench, a less-imposing, narrow shelf has been installed. The area above the shelf is effectively used as a switch panel, with the 12V, hot water, battery charger and water tank gauges. 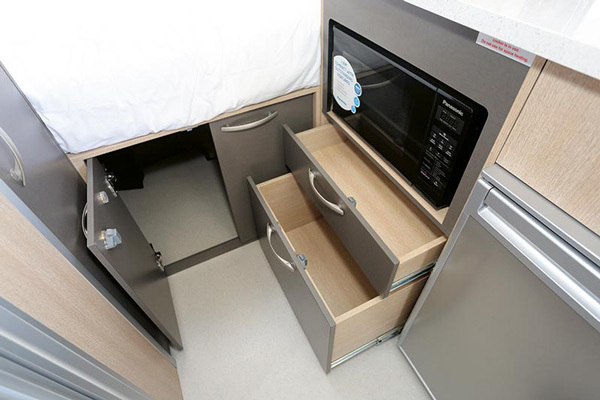 Overhead lockers are located towards the rear, above the bed where headspace is less of an issue. The bed measures 1.85x1.3m (6ft 1in x 4ft 3in) and fills the rear area. LED reading lights are fitted to both sides of the bed, so you can take your pick as to which way you sleep. 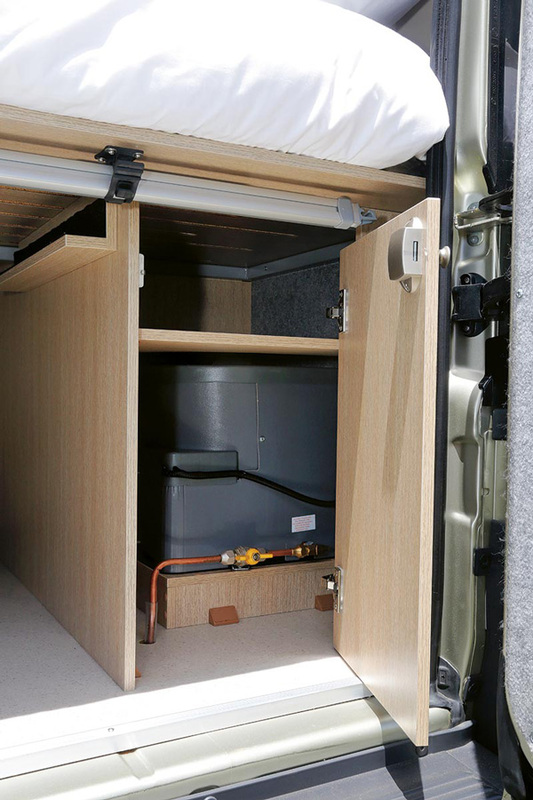 Its length is, of course, limited by the van’s width and it sits high enough that it provides a good storage area underneath but is still easy enough to clamber into. 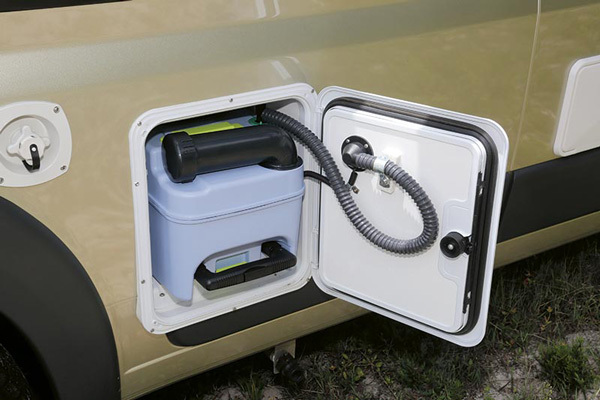 There’s access to the storage from both inside and via the rear doors. Part of this area is taken up by the gas cylinder bin on the nearside and the water heater on the offside. 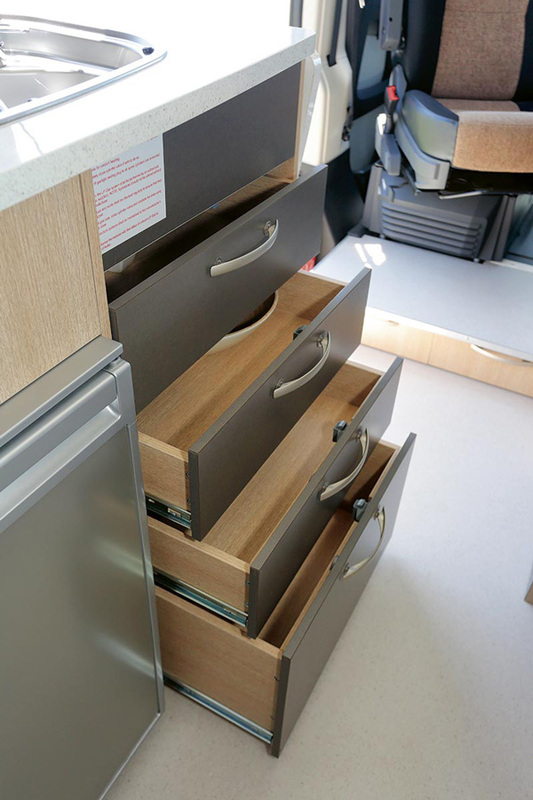 In the kitchen, six drawers offer generous and effective storage. There are a few other essential items, like a combo three-burner cooktop and stainless steel sink, both with glass lids, plus a Waeco 110L compressor fridge. Although there is a reasonable amount of benchtop space, there is a hinged extension fitted to the front end of the bench. 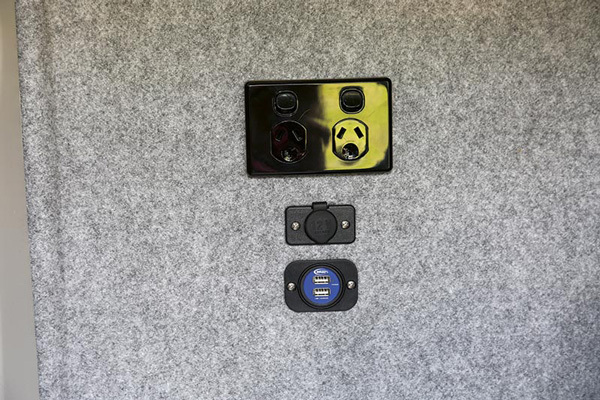 A little caution is needed if it’s set up and you’re entering or leaving via the van’s sliding door, as it extends into the doorway A flatscreen TV is mounted on the wall above the kitchen bench, best viewed from the swivelled cab seats. 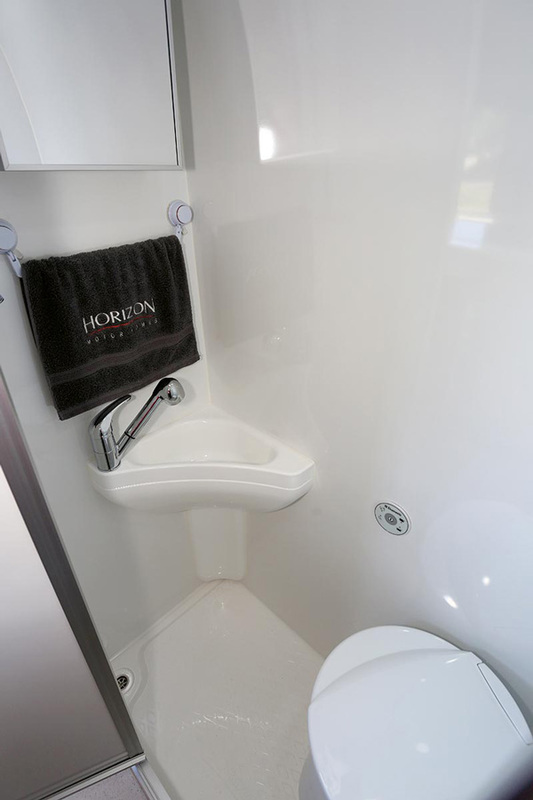 Horizon always seems to be able to fit a nicely-sized bathroom into its motorhomes – not so big that it takes up valuable space, but large enough to move around inside and still have room for the flexible hose shower, shaving cabinet, Dometic cassette toilet and corner wash basin. An SOG venting system is fitted to the toilet cassette tank. Between the bathroom cubicle and the bed is a full-height wardrobe that offers multiple shelves and some hanging space. 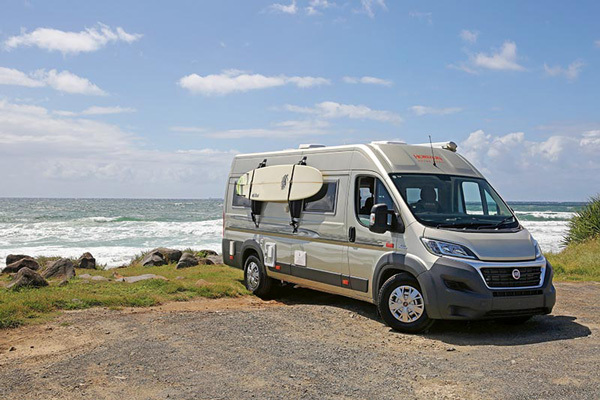 Horizon Motorhomes has created a bit of a niche for itself in Australia. The company specialises in large van conversions based on Fiat Ducatos and Mercedes-Benz Sprinters and, if the Banksia +2 is any guide, it’s something the company does very well. 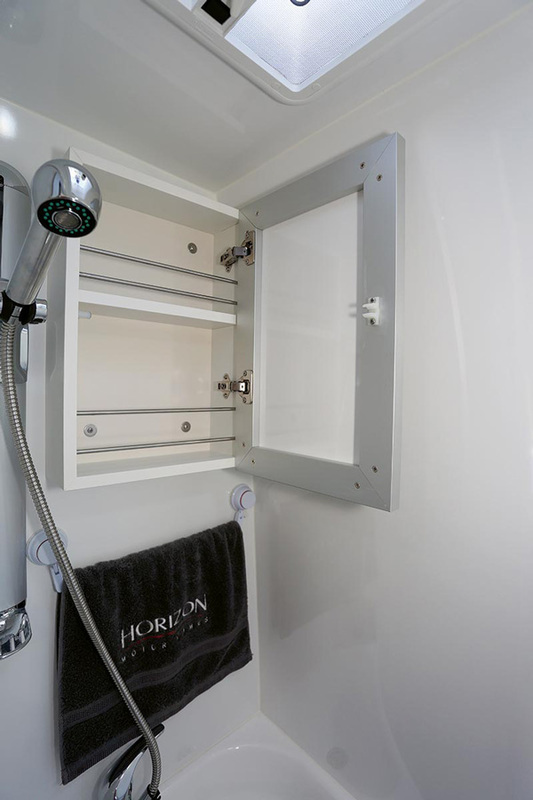 Obviously, other people think so too, because last year Horizon was awarded Best Manufacturer by the Caravan and Camping Industry Association NSW. 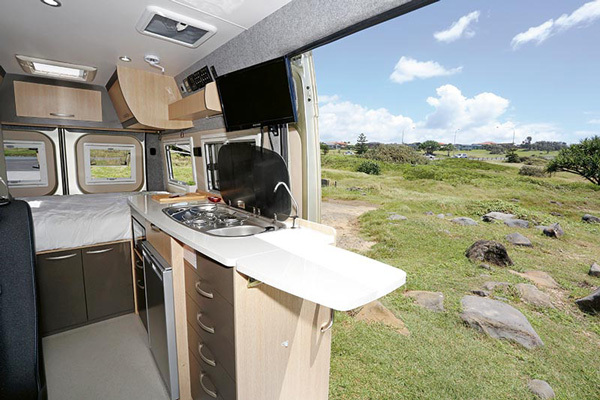 Offering the versatility of a two-person camper or a four-person transporter, the Banksia +2 has a practical layout which results in a small and very user-friendly motorhome. Not having the keys for long enough!